Fifty people were moved from their homes on Monday (October 23) as a fire raged through the area of Val di Susa in northern Italy. They were seen leaving in vehicles in the early hours of the morning in the village of Bussoleno, where houses were threatened by the flames as fire-fighting teams battled to control them. Months of drought and a strong wind caused the fire to spread quickly. 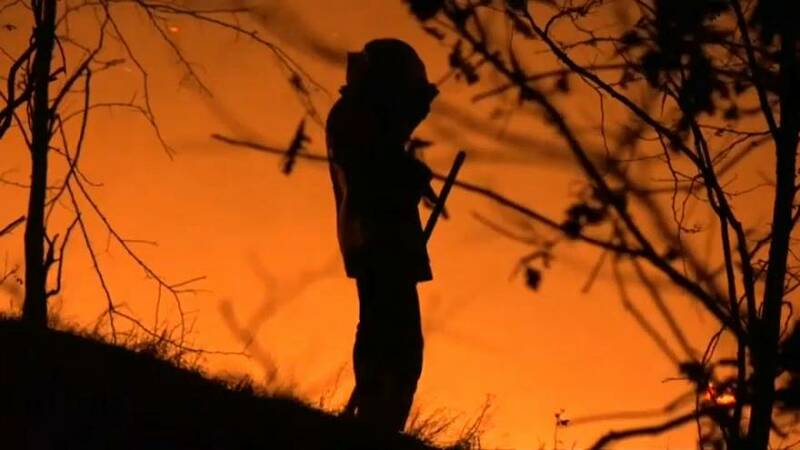 The fire brigade said hundreds of hectares had been destroyed.